Iran fired a short range anti-ship missile last week as part of the short notice naval exercise it held near the Strait of Hormuz, according to two U.S. officials. Earlier this week the top U.S. commander in the Middle East said the Iranian naval exercise was intended to send a message to the U.S. about the resumption of economic sanctions against Iran. According to a U.S. official an anti-ship version of the Fatah-110 short range ballistic missile was fired from land in the vicinity of the Strait of Hormuz and landed in the waters of the Persian Gulf. The Fatah-110 missile has a maximum range of 125 miles. The missile launch by Iran, first reported by Fox News, was the first time this year that Iran has fired a ballistic missile of any type. The two U.S. officials said the missile firing was part of the naval exercise carried out by Iran last week in the Strait of Hormuz. The officials said Iran has historically carried out a ballistic missile firing as part of the exercise, so last week's missile launch was consistent with that pattern. 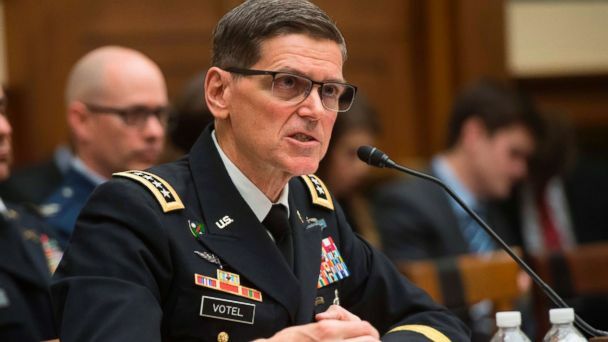 Gen. Joseph Votel, the commander of U.S. Central Command told reporters earlier this week that he believed the Iranian exercise was intended to send a message to the U.S. about the resumption of economic sanctions against Iran. "It's pretty clear to us that they were trying to use that exercise to send a message to us that, as we approach the period for the sanctions here, they had some capabilities," said Votel. In turn Votel said his command's message to Iran was "We are aware of what's going on and we remain ready to protect ourselves." About 75 small boats participated in the exercise practicing "swarm" maneuvers that could be carried out against commercial or military warships transiting through the Strait of Hormuz. Between 20 to 30 percent of the world's oil transits out of the Persian Gulf through the vital waterway. Iran's Islamic Revolutionary Guard typically uses small craft to harass U.S. Navy ships in the region, though there has not been an unprofessional interaction with an Iranian small craft in almost a year. While U.S. officials noted Iran's preparations for the exercise before and during the exercise, Iran did not acknowledge holding the two-day exercise until after it had ended.